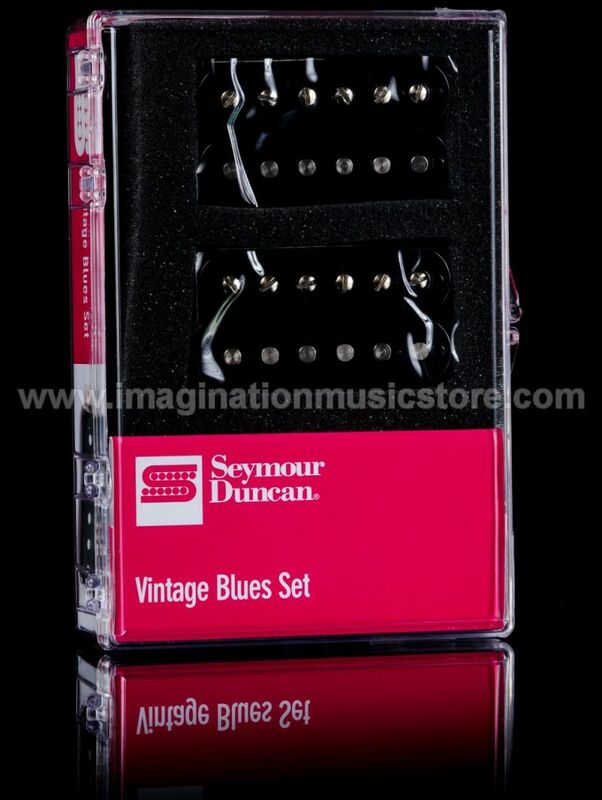 Drop the Seymour Duncan SH-1 Vintage Blues Set into your favorite axe, and soak your playing in warm PAF-style tone. Inspired by late-'50s Seth Lover-designed humbuckers, these pickups sport plain enamel wire, a long-legged bottom plate, and vintage-correct single-conductor cable. Experience old-school tonal character by the truckloads, but with a slightly more scooped midrange than the originals and vacuum wax potting for squeal-free performance. The absence of a Seymour Duncan logo ensures an authentic look. These pickups are great for all types of rock and blues. For flexible tones with vintage flair, the SH-1 Vintage Blues Set is a perfect fit. The SH-1 Vintage Blues Set provides a late-'50s, vintage-correct, humbucker sound with warm and crystalline clean tones. 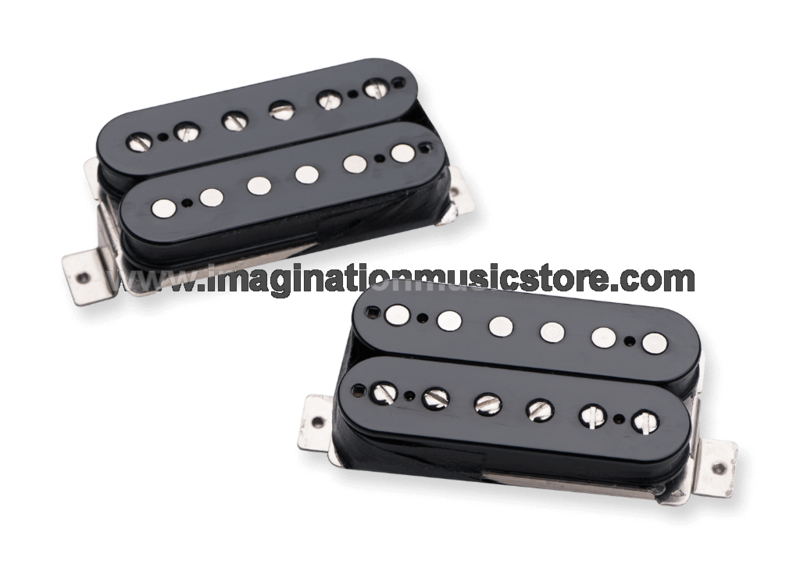 Full and bright distorted tones with smooth sustain are available from this classic-style pickup. Classic appointments include plain enamel wire, a long-legged bottom plate, vintage single-conductor cable, and the absence of a Seymour Duncan logo. Compared to the SH-55 Seth Lover, the SH-1 features a brighter top end, a more compressed sound, and is vacuum wax-potted for squeal-free performance. Quite simply, it boils down to tone. 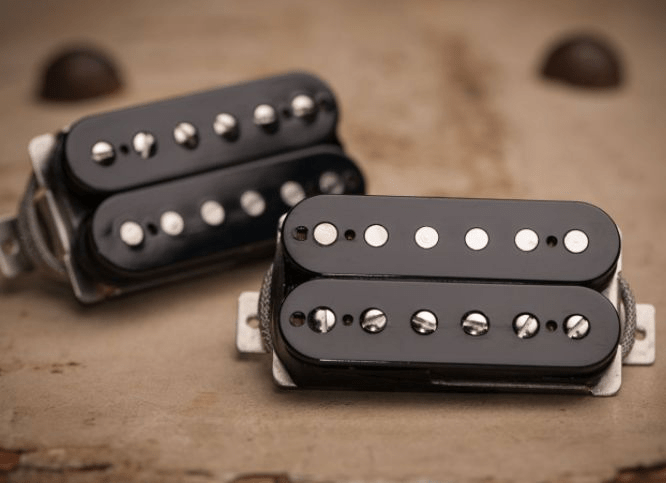 Seymour Duncan has spent the majority of his life refining the art of creating pickups. Seymour Duncan is dedicated to getting the best tone possible from his pickups, from modern metal monsters to faithful reproductions of gems from the '50s and '60s. At Sweetwater, we know that tone is important to you, which is why we choose to carry Seymour Duncan pickups. With the massive amount of pickups available from Seymour Duncan, you're certain to find the sound you've been looking for.